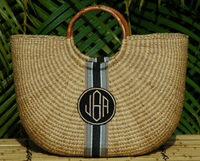 Style: Large Half Moon Basket Personalization Type: Please Choose OneMonogramSingle InitialTwo Initials Monogram, Single Initial or Two Initials: Font: Please Choose OneCapital - 1 letter onlyLower Case- 1 or 2 letters onlyRound-3 letter mono onlyQBS-diamond shape 2 or 3 letters only Personalization Choice: Please Choose OneAbaco w/WhiteAbaco w/BlueNew York-Black & WhiteCape Cod-Navy & WhiteHampton-w/ChartrueseHampton-w/WhiteRichmond-w/Tan MonoRichmond w/BeigeDelray Beach w/FushiaDelray Beach w/WhiteSnappy w/Fushia & LimeSnappy w/ Black & FushiaVirginiaCaptivaSassanova w/AquaSassanova w/PinkSan FranciscoDenimKey West w/FushiaKey West w/Turquoise Who is this item for? Our Large Half Moon is shown in the Richmond Combo with a Tan QBS monogram! All baskets are handmade and the size may vary an inch or two. 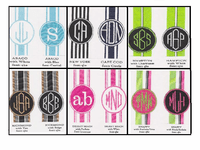 Monograms will take between 2 and 4 weeks depending on the season. The basket is guaranteed for 6 months free of charge. From 6 months to 1 year we will replace the basket and charge according to style/size. The original basket will need to be returned directly to the Queen Bea Studio. If the "who is this item for?" full name does not fit in the space allowed please spell it out completely in the comments section. 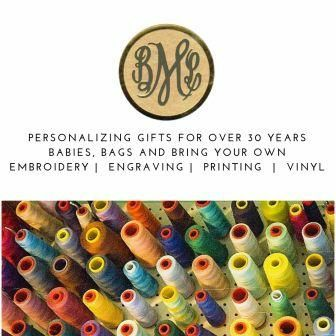 Drop shipped directly to you. No gift wrapping available.